Remember the mummies at the Manchester Museum who were ignominiously enshrouded after visitor complaints about their pickled naughty bits? The museum has backtracked a bit. The mummies are still not displayed in their full naked glory, but at least they aren’t totally cocooned anymore. 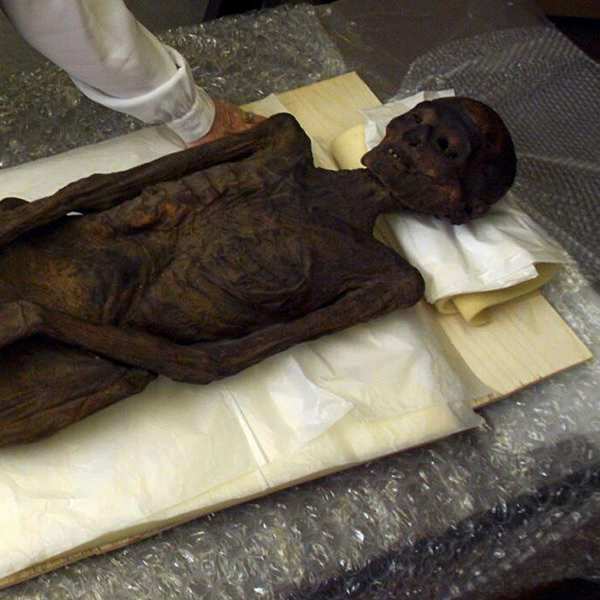 Nick Merriman, museum director, has said one of the mummies will now be left partially unwrapped in its original display state, while another will be partially covered, leaving its head, hands and feet exposed. The decision to reveal more of the mummies came following a meeting of the museum’s human remains panel. Mr Merriman said: “We started the consultation process with a total covering of three of the museum’s unwrapped mummies. “As public feedback showed that this is not the most appropriate long-term solution, we are trying out a range of different approaches to gauge public opinion. Man, they are really struggling over this. They must have gotten huge piles of complaints over the nekkid mummies. Hard to believe.